Social gaming covers multiple forms of gaming. Gaming becomes social when you need to interact with people during the course of it. By this definition, almost every game that involves two or more people being in the same room would be considered a “social game”. Card games, board games, MMORPGs, role playing games, etc. are all social games. But in the 21st century, social games have come to stand for a very particular brand of games- gaming that is happens online, and requires you to play with or against multiple people. The aforementioned games can still be considered social games- but only if they are played online. Social gaming was not too popular in the beginning of the 2000s, but since the mid-2000s, they started gaining traction. Thanks to online casinos, companies like Zynga and Facebook, social games started reaching out to millions of people. The advent and increasing popularity of smart phones have made social games more accessible to people, as well. People could now play a variety of games online- ranging from poker, to World of Warcraft. This type of gaming appealed to people, for it put them in direct contact with other people who also loved playing the same games as they did. According to a report by the Wall Street Journal, since 2008, the number of people playing video games has increased by 240%. The industry that was bringing in multi-million dollars in mid-2000s hit the 1 billion mark in 2010. 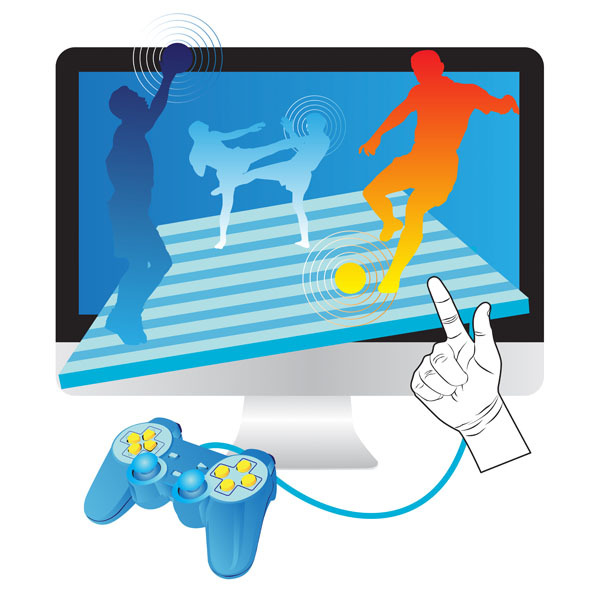 By 2015, it is predicted that the social gaming industry will be worth $5 billion. Social gaming, as an industry, has managed to seep into every aspect of our lives. The industry gives people exactly what they are looking for- a pastime that allows them to interact with people. It is no wonder the industry is doing so good.